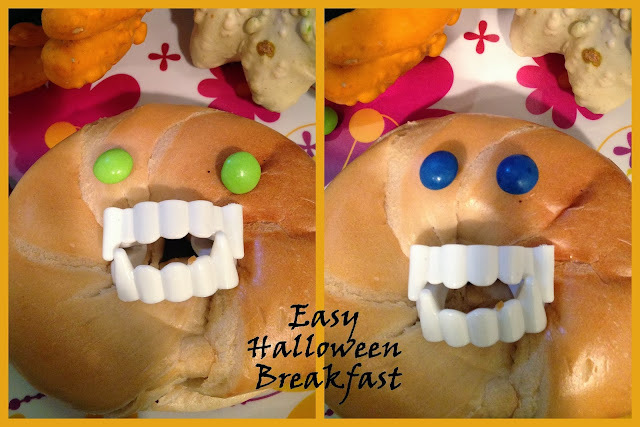 Looking for fun and easy Halloween breakfast ideas? 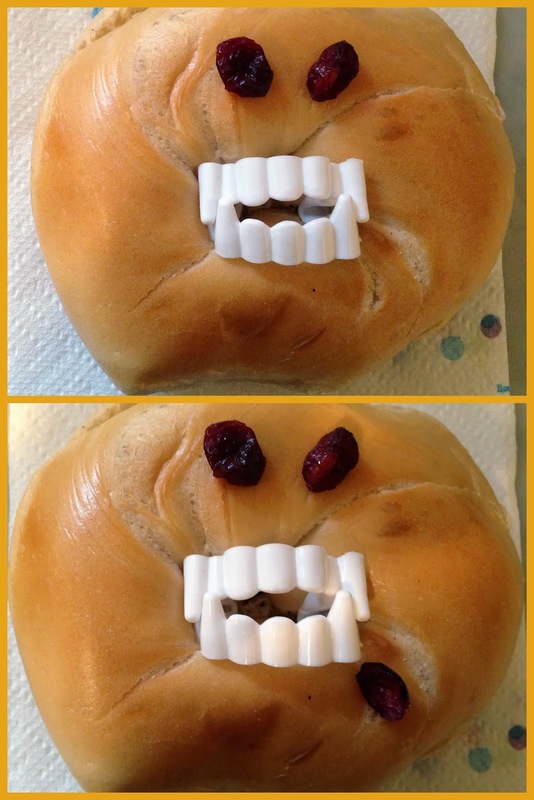 Make fun vampire bagels for Halloween! 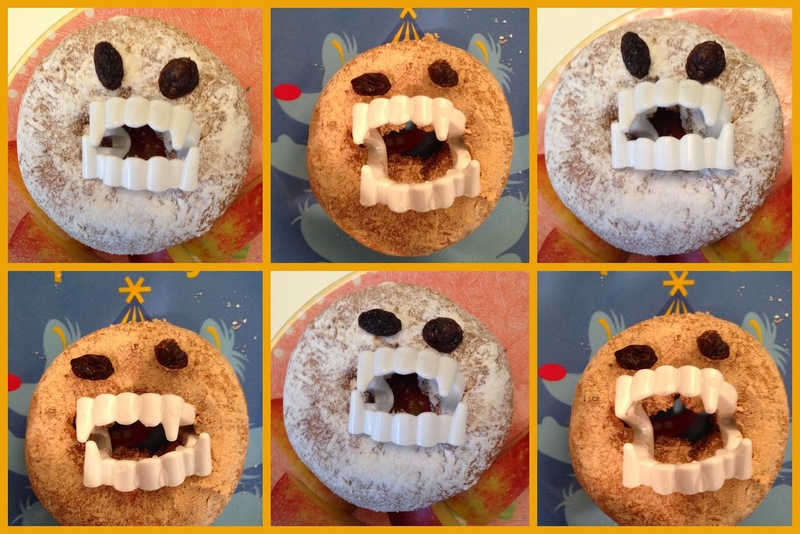 Thank you to Lovezilla's No Effort Halloween Treat for the inspiration.